The Rural Schools Alliance is a Teaching School partnership and had it’s first intake of students in the 2017 to 2018 academic year. Comprising of six Hampshire secondary schools, we are Ofsted rated ‘Good ’ schools who have been recognised for our drive and determination to deliver high quality comprehensive education, whilst observing, celebrating and actively promoting traditional values. Led by strong, forward thinking leaders, with a shared vision to become ‘Outstanding ’, the Rural Schools Alliance comprises of: Applemore College, The Clere School, The Cowplain School, Swanmore College, Testbourne Community School and Test Valley School. Collectively, our partnership covers vast belts of rural communities across the county of Hampshire, whilst remaining accessible to the key urban areas of Andover, Fareham, Waterlooville, Winchester, Southampton and Portsmouth. In addition, the Rural Schools Alliance is delighted to be working in partnership with the University of Winchester to deliver and design the initial teacher training provision (ITT). The University of Winchester is an Ofsted rated ‘Outstanding ’ University for its ITT provision, ranked in the top 10 of Universities in England, in a recent National Student Survey. As schools and community hubs, we are committed to the challenge and scope of the opportunities available to teachers and learners within the dynamic landscape of education in the 21st Century. We are constantly and consistently striving to uncover and develop personal excellence for all: for pupils and trainee teachers alike, our approach is vibrant, positive and energetic. We ensure that all learners – pupils or trainee teachers – experience the highest standard of support and development throughout their journey in education and beyond. The Student Union at Winchester is based in the University Centre. It organises club nights, comedy, quizzes and live music. There is also a cinema with a dedicated programme of films. A variety of clubs, societies and associations are run in the Student Union, offering the chance to get involved in a wide range of activities. The Union also provides support and welfare services, accompanied by awareness campaigns throughout the year. The University of Winchester offers excellent sports facilities for students, staff and the community. It has a sports stadium, all weather pitch and a range of gyms and sports halls. The University is part of a thriving network of performing arts activities involving national and international artists and professional performance companies. Students and staff regularly perform at national events such as the Edinburgh Fringe Festival and the University is involved every year in the Winchester Hat Fair – a famous street theatre festival. There are excellent performance and rehearsal spaces at the University that offer the latest technology for student productions. There are also first-rate choreography and dance studio facilities. The Link Gallery is an arts space at the University that is open to the general public. There is an exhibition programme throughout the year featuring established and emerging artists of a host of visual arts such as photography, painting and sculpture. There is also a fascinating array of visual arts displayed on campus – all are the creative works of students, staff, alumni and local professional artists. The Rural Schools Alliance does not provide accommodation for its trainee teachers but advice regarding housing is available from Student Housing Services at The University of Winchester. The partnership schools do not have dedicated child care facilities on site. Schools within the alliance have varying degrees of disability access. Applicants who would like to find out more details about disabled access provision across the alliance can contact the Rural Schools Alliance Administrator. 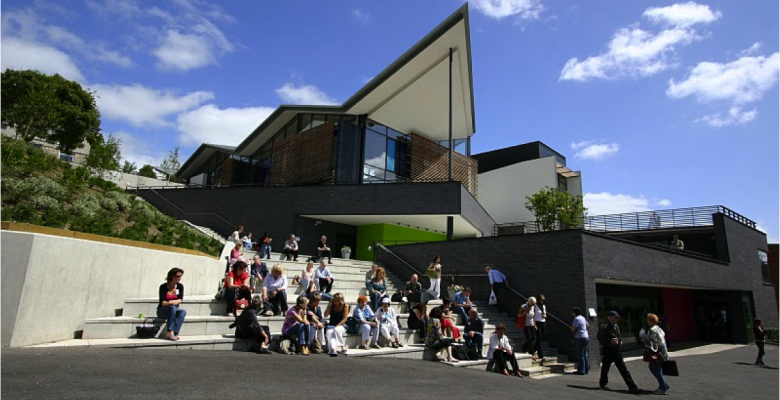 The University of Winchester provides a range of student support services including advice and guidance and tutorials for those with a specific learning difficulty. Information about regional bus and train services that provide links to our partner schools can be found by contacting the Rural Schools Alliance Administrator. All School Direct trainee teachers with the Rural Schools Alliance become members of The University of Winchester’s Student Union and are, therefore, able to take advantage of the study facilities on the campus. These include: Student support services, access to the library (including 24/7 during term time) and online resources.